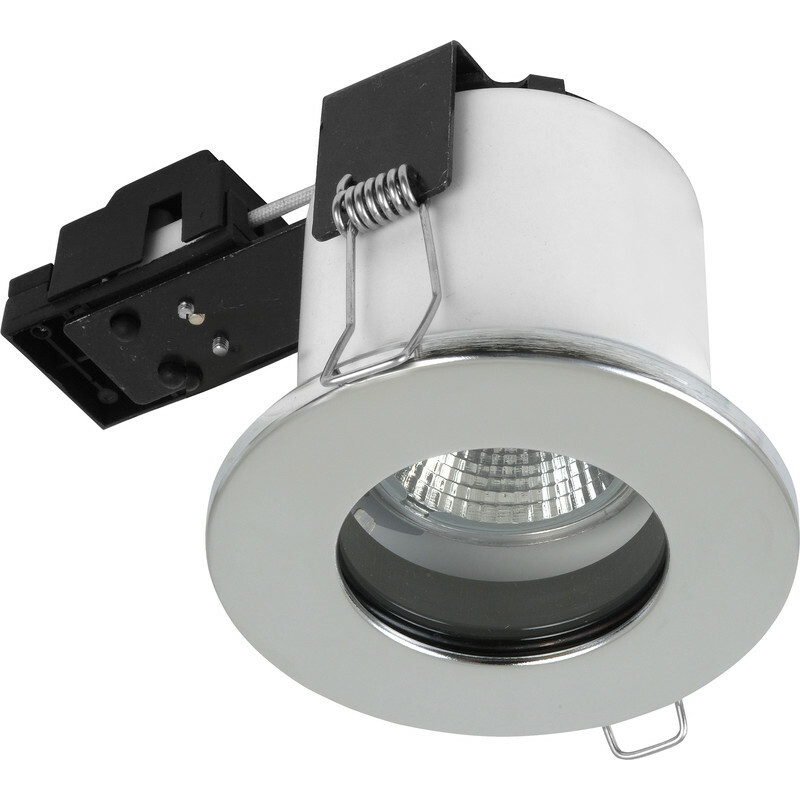 Sylvania Fire Rated Fixed IP65 GU10 Downlight Brushed Steel is rated 3.7 out of 5 by 9. Rated 5 out of 5 by Mohammed3 from Perfect downlight for domestic installation I bought 8 of these for my kitchen, it looks beautiful and really high quality. Rated 5 out of 5 by dwcspark from Well made. Require a slightly larger hole than most downlighters of this type which is handy when like me you are replacing old downlighters. Have used these before and will use again. Rated 4 out of 5 by Macyd from Nice looking light. Easy to install, compact body. Looks good. Rated 4 out of 5 by billy would from Nice looking light in chrome low height ( 100 mm ) means it can be fitted in small void or under other pipework .